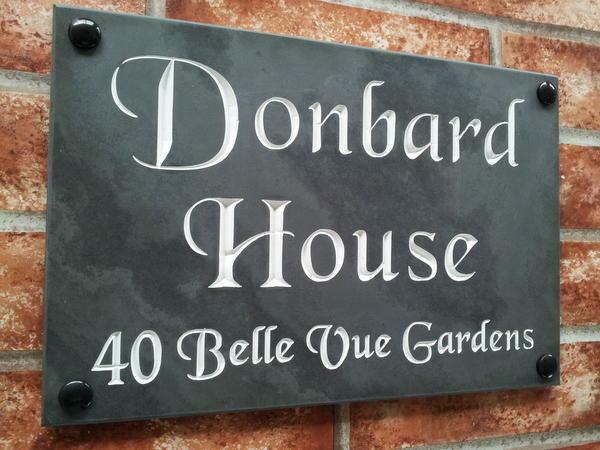 Solid honed slate sign with deep v-cut engraving for house names and/or a home address in up to 3 lines of text. 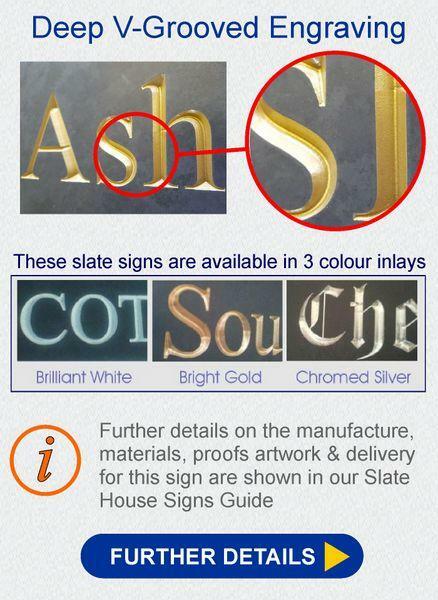 This product can also be made with up to 5 lines of text for memorials – please contact us for a price. Just a note to say our signs arrived yesterday (order 13516) and they are really super, even better than we expected, we're absolutely thrilled with them and can't wait to get them up. Thanks again to you and the team for such great craftsmanship. Hi Gerry, Please thank your team and yourself , the signs arrived yesterday and are up. Thank you for our House Sign. It's lovely we love it. Will recommend you to others in the Future. Great Job Done. place on the house looks good, so thanks very much. 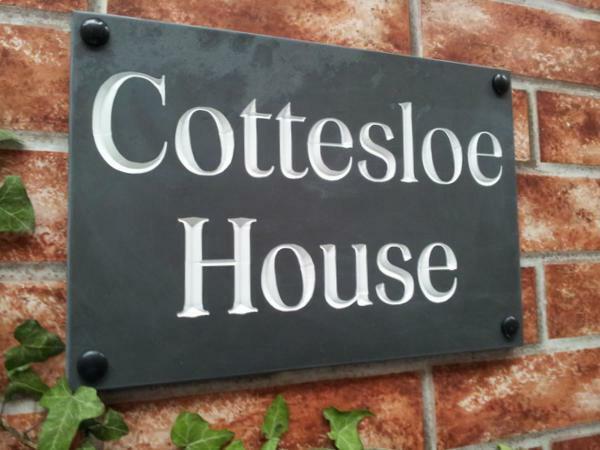 Our sign arrived yesterday, we are delighted with it, many thanks. 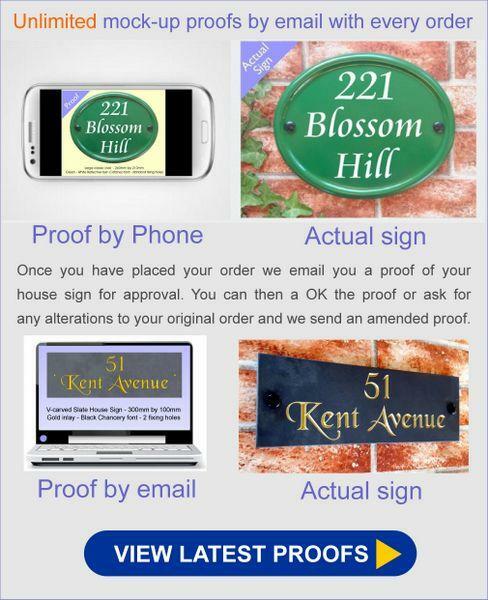 Everything was efficient from using the website to approving the proofs to receiving the sign. The sign arrived in a very well wrapped secure parcel and was exactly what we wanted. 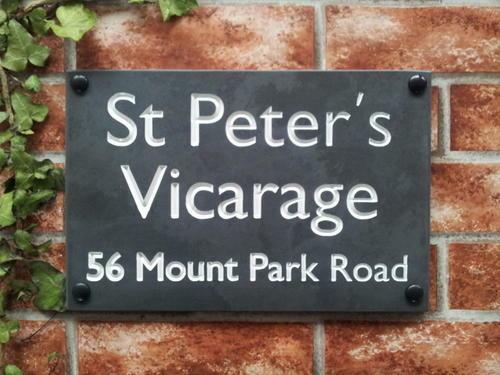 The sign is of high quality with professional engraving and included all the fixings especially the caps for the screws which finish off the sign perfectly. 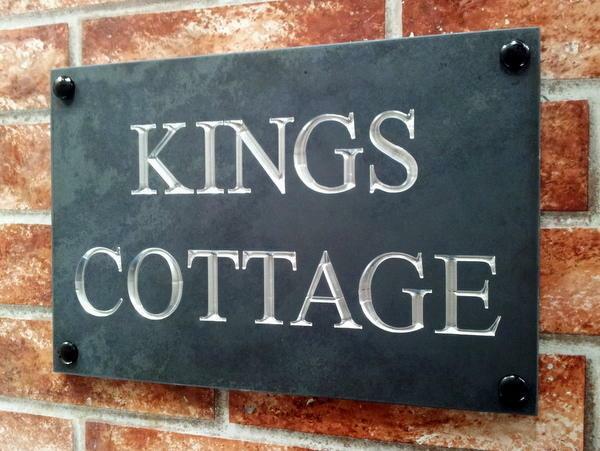 We were so pleased with the house name we have now ordered a number.